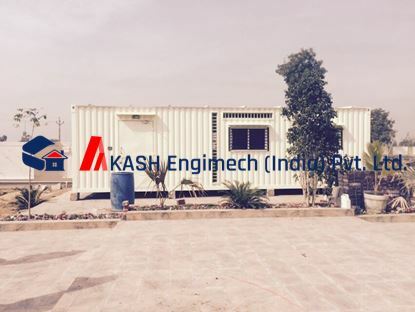 These Office Containers are available in any length upto 40' Feet and in any width upto 12'. 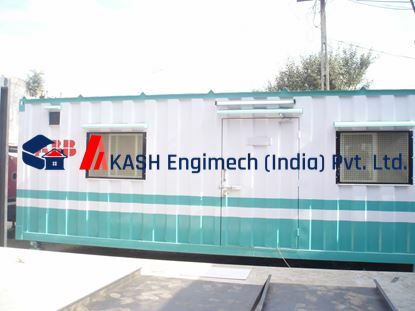 We custom built them for you with Separate Cabins, Attached Toilet Pantry or Full Working Areas for Engineers depending upon your requirement. 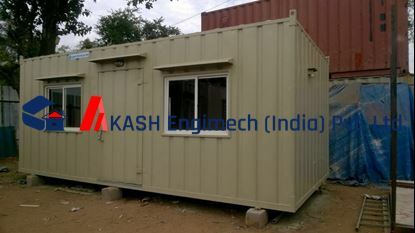 Portable cabin for Office Size: 20' x 10' x 8.5' Feet Its Portable. So, you can lift and shift it any where, anytime. Office Container with all the luxurious amenities you can think of! 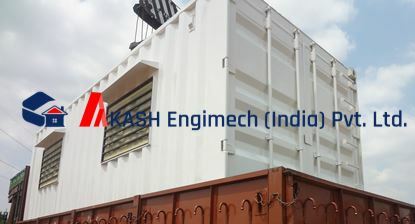 Size : 40' Feet x 12' Feet x 9' Feet For Quotation or Details, contact us @ +91-9998966274-75. 20ft Office Container made by upcycling Old 20ft Storage Container. Size: 20' x 08' x 8.5' Feet Call or Whatsapp on +91-9998966274 / 75 for detailed quote & prices.